To support tuna stock and tuna ecosystem sustainability, ISSF Participating Companies have agreed to meet a number of conservation measures designed to improve the long-term health of tuna fisheries. The following links include documents describing the protocol for the auditing of participating company compliance with the conservation measures in effect during recent audit periods. 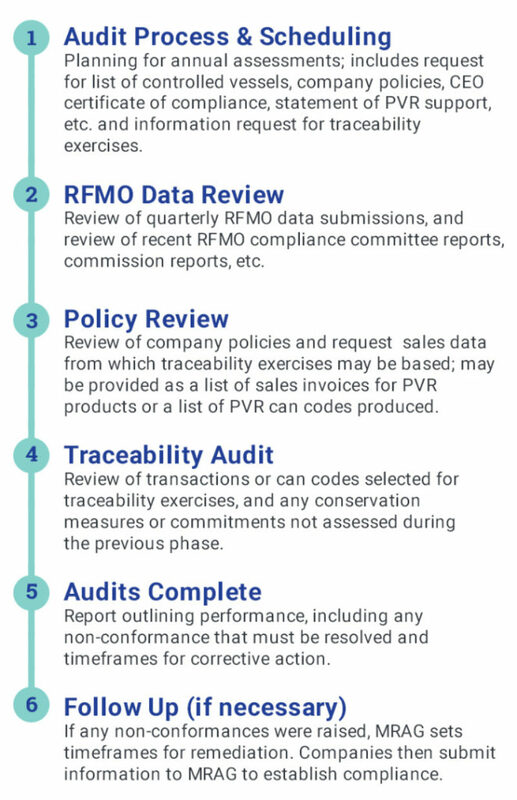 Individual company audit reports also are published on this site, including “Update of Compliance Status” reports for companies that have remediated any non-conformances with conservation measures.